Even after watching Nathaniel Rappole, a.k.a. Gull, perform many times and since becoming friends, there's still this enigma about him, as in I'm perplexed about where such an intense level of dedication comes from. More than simply creating art, the entirety of the Gull experience itself is art. 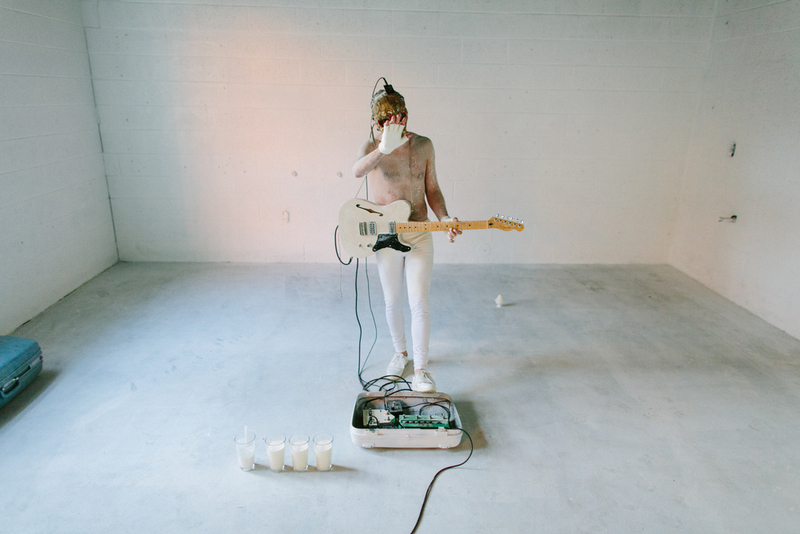 When you watch him play, each element — the looping guitar and vocal lines, one handed drumming, cardboard and hot glue mask, reverse sequences, and dancing compose a unified force that causes listeners to stop trying to categorize what is happening and instead just submit to what their senses are interpreting. We heard Nathaniel would be coming to town, right around the time we were kicking off the #OurLynchburg project. We wanted to talk some photos, and possibly a video. A few friends teamed up and we created the video you can see at the top of this page (the on-set images is what makes up the rest of this page's content). At the time, he was renting a place in Philadelphia, doing an artist's residency in Birmingham but touring along the east coast. He got stuck in Lynchburg due to car problems, and spent his time here chopping wood for Rivermont Pizza's brick oven, practicing in the spare studio at the Keep Colony, and playing a few pick-up shows. Defunt Macbook charger turned guitar strap. Edward Linsey installing mini donuts on the back wall.